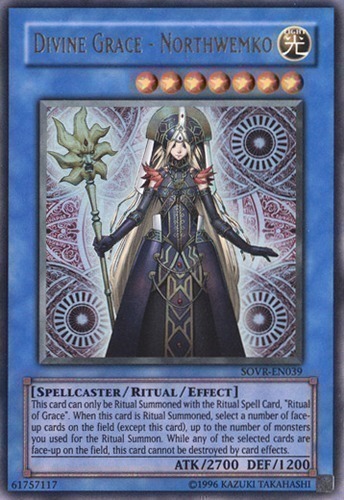 This card can only be Ritual Summoned with the Ritual Spell Card, "Ritual of Grace". When this card is Ritual Summoned, select a number of face-up cards on the field (except this card), up to the number of monsters you used for the Ritual Summon. While any of the selected cards are face-up on the field, this card cannot be destroyed by card effects.